It’s been almost 20 years since the classic Sierra/LucasArts PC adventure game “died,” taken down in a flurry of complaints about Myst clones, awful 3D graphics, and jokes about improbable cat-hair mustaches. Of course, nothing in gaming really dies; it just evolves, and there’s plenty of adventure DNA lurking in all sorts of games today, from Telltale’s licensed Batman entries to Japanese visual novels to “walking simulators” like Gone Home or Tacoma. For die-hards like myself, devoted to the old “point-and click, apply verb to object” model that once sent so many youngsters scrambling for the walkthrough, the options are a little more limited, and almost inevitably lead their way to Dave Gilbert and the crew of old-school adventurers he’s assembled around himself at indie studio Wadjet Eye. Gilbert’s been making commercial adventure games for 12 years now, getting steadily better with each installment of his well-regarded Blackwell series of paranormal investigations. This week, he finally released Unavowed, the product of four years of steady development on a new IP. And while “best old-school adventure game of the 2010s” might not sound like all that ringing of an endorsement, Gilbert’s produced something really special with his latest effort. 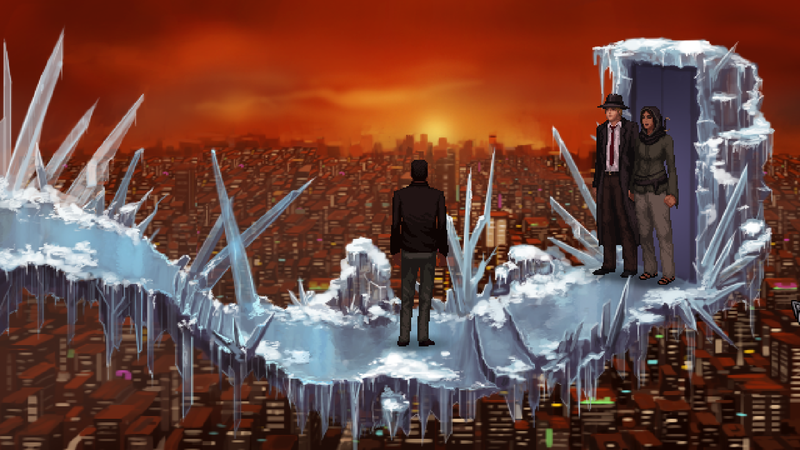 Plot-wise, the game has a hook that wouldn’t feel out of place on a low-budget cable show: Your protagonist suddenly wakes up in the middle of an exorcism—their own—as a team of supernatural investigators tries to yank them free of the demon that’s been riding their body for the last year, killing its way across New York. Freed from its control, they sign on as a member of the titular secret society, trying to track whatever it was the demon was up to in the year it had them in its clutches. Unavowed is, unambiguously, Gilbert’s best game; all the little technical annoyances endemic to the genre’s modern efforts have mostly been ironed out, and his writing and design sense have never been better. But even beyond that, it’s a contender for a top entry in the adventure game pantheon, period. If you’ve got any old nostalgic feelings lurking in your heart for a _____ Quest or a Monkey Island, it’s definitely an experience worth seeking out.